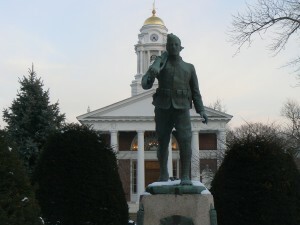 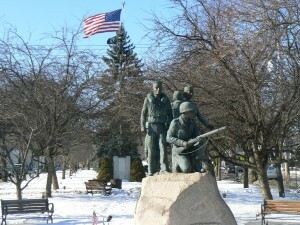 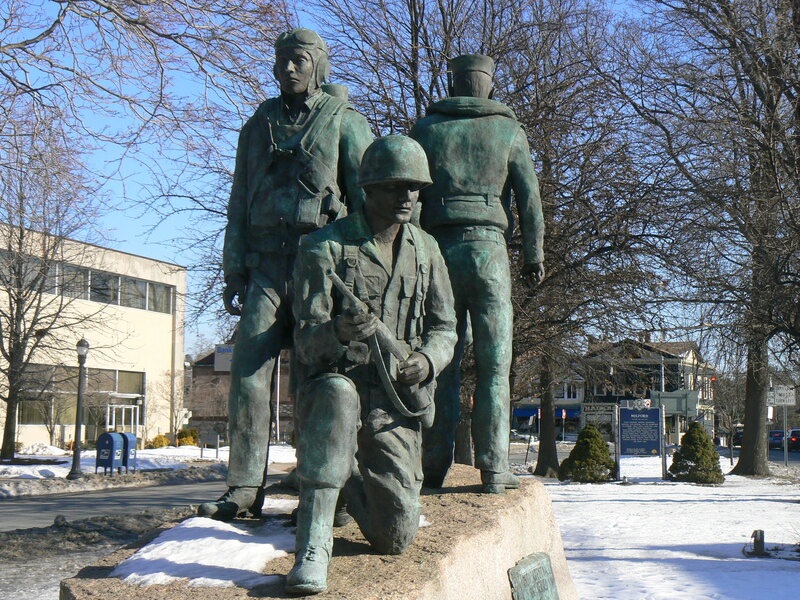 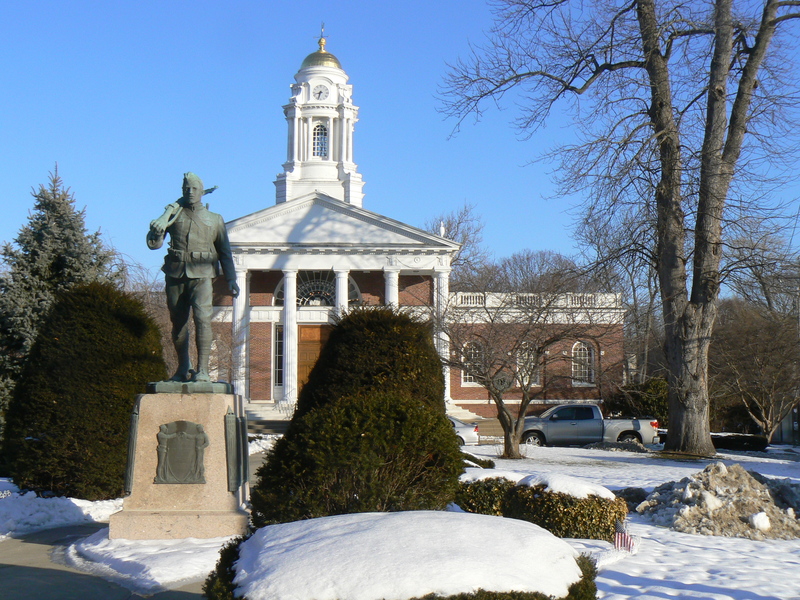 The “Doughboy” World War Monument in front of Milford’s city hall was dedicated in 1928 to honor the residents who served in what was then called the World War. 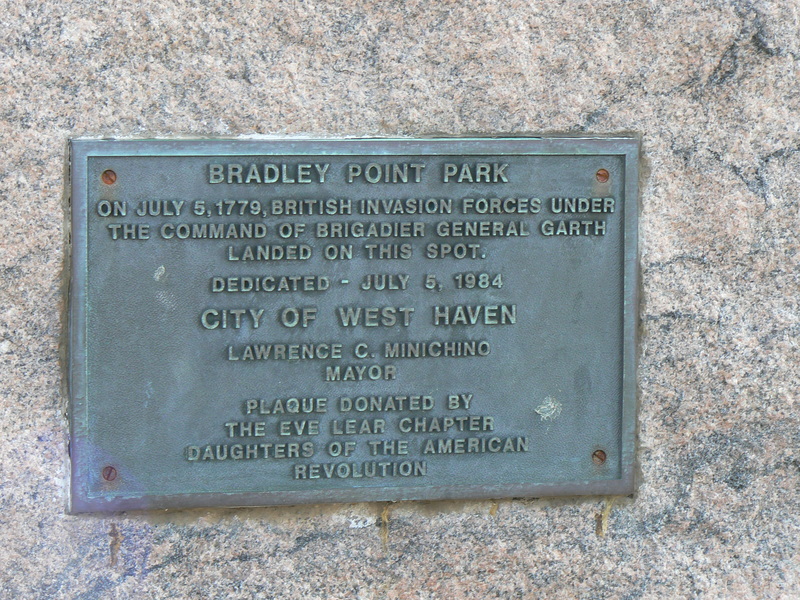 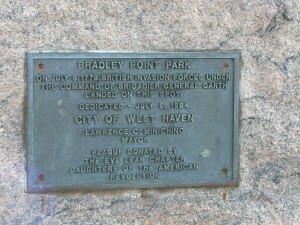 A plaque on the front face of the monument lists 22 residents who died in the war, and markers on the sides of the monument base lists approximately 745 names of residents who served. The monument sits in front of the fifth town or city hall to occupy this space. The current building was completed in 1916, and replaces an 1832 structure that was lost to fire in 1915. 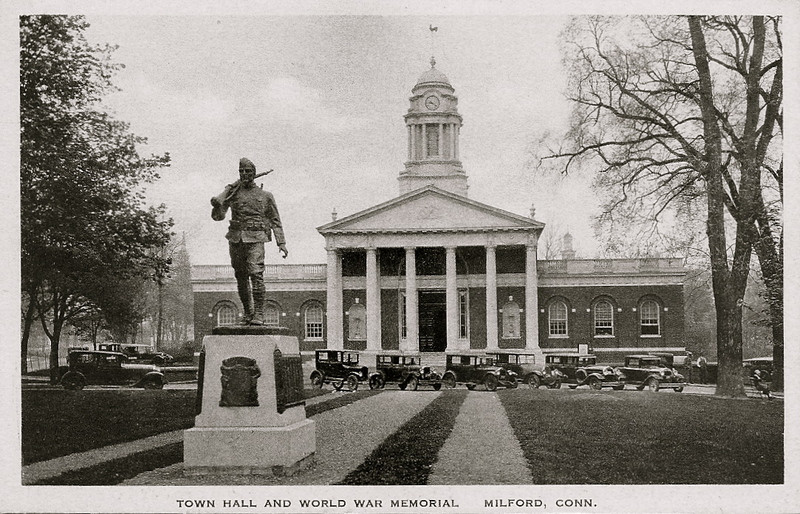 The inscription over the front entrance reads “Town Hall,” reflecting its construction before Milford declared itself a city in 1959. As you’ll see in the vintage postcard below, the monument and city hall haven’t changed a great deal since they were completed. 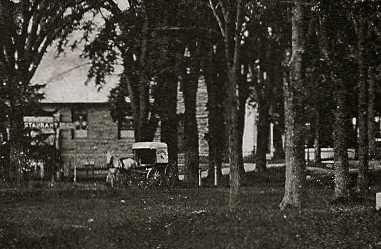 More shrubbery has been added to the grounds, and the vehicles have been updated, but the tree on the right side of the image has remained. 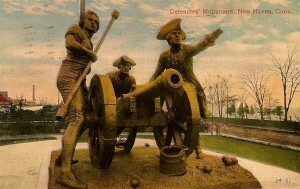 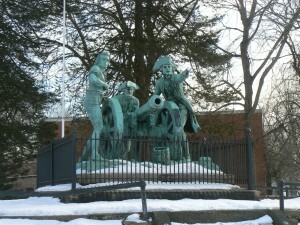 A Civil War cannon stood near the site of the World War monument between 1910 and the dedication of the monument. It was moved to the green, and was later returned to the federal government as World War II broke out and melted down to support the war effort. City Hall is also the location of a three-sided memorial to the victims of the September 11, 2001 terrorist attacks that was dedicated in 2005. 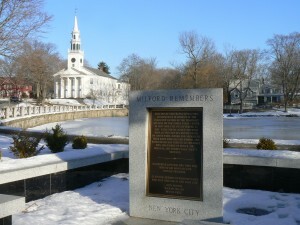 One side of the monument is dedicated to the World Trade Center attack, and commemorates the three former Milford residents who died in New York. 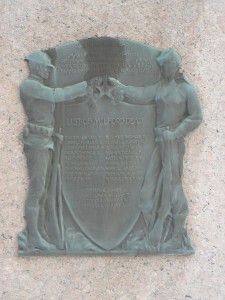 Another side commemorates the attack on the Pentagon. 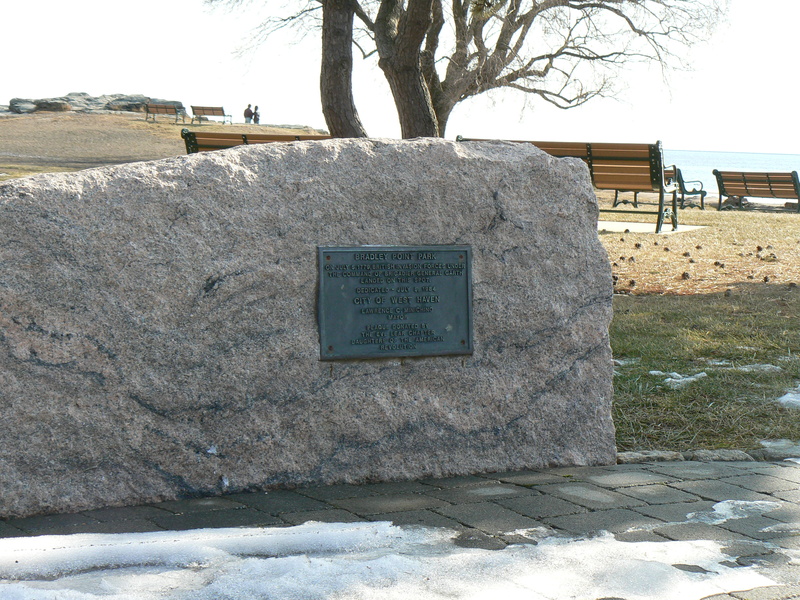 The third side honors the victims of United Flight 93, and carries a quote from Lincoln’s Gettysburg address near the base. 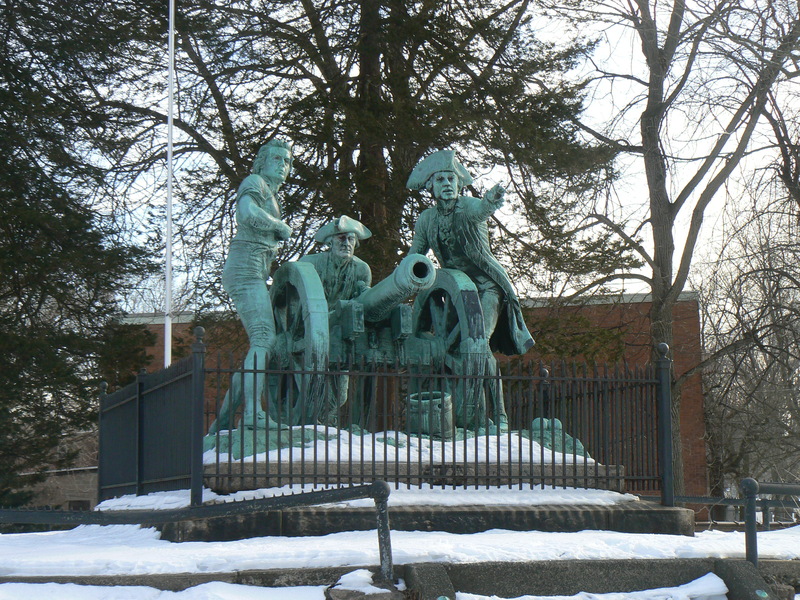 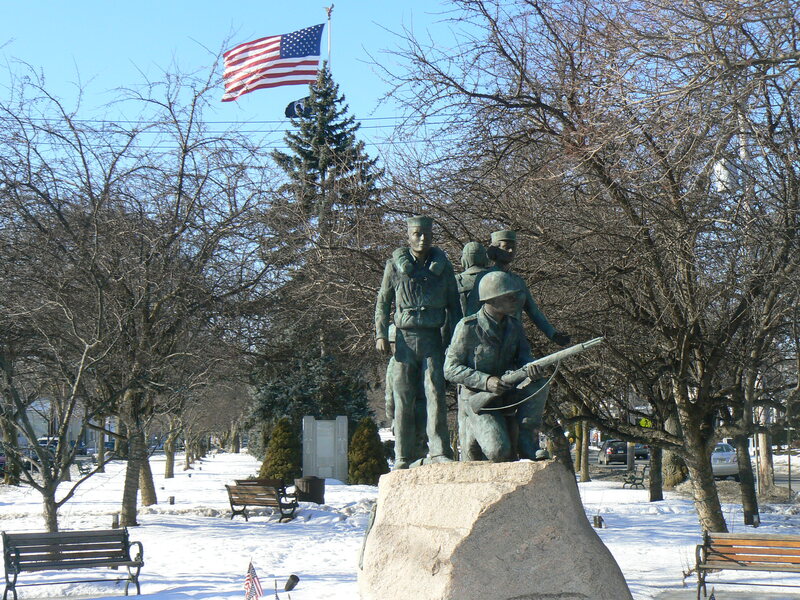 We continue our look at downtown Milford monuments by examining the World War II monument at the east end of the Milford Green. 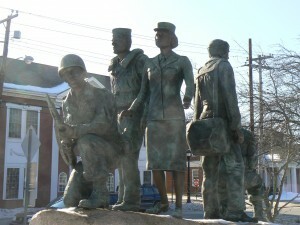 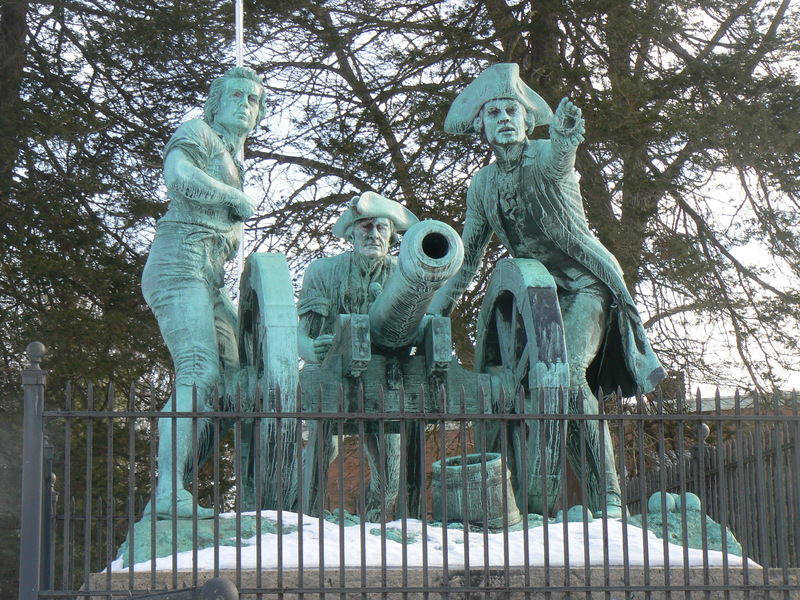 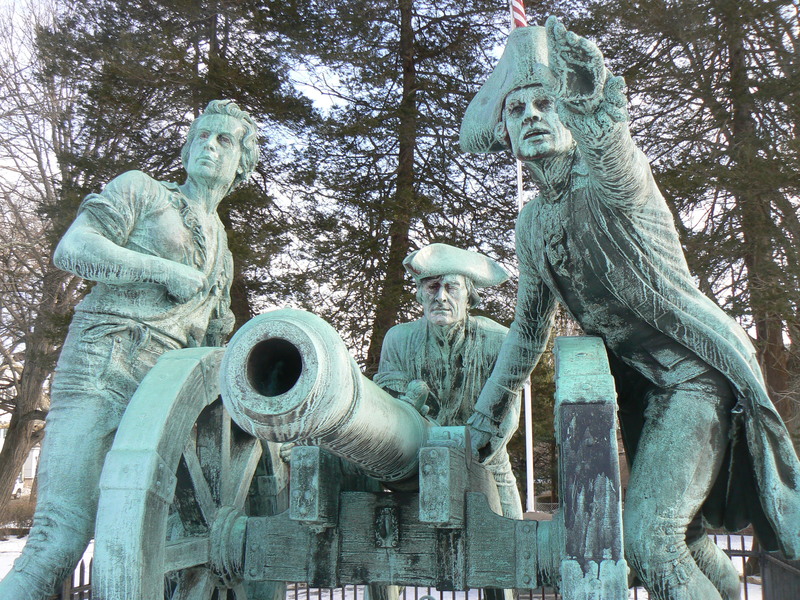 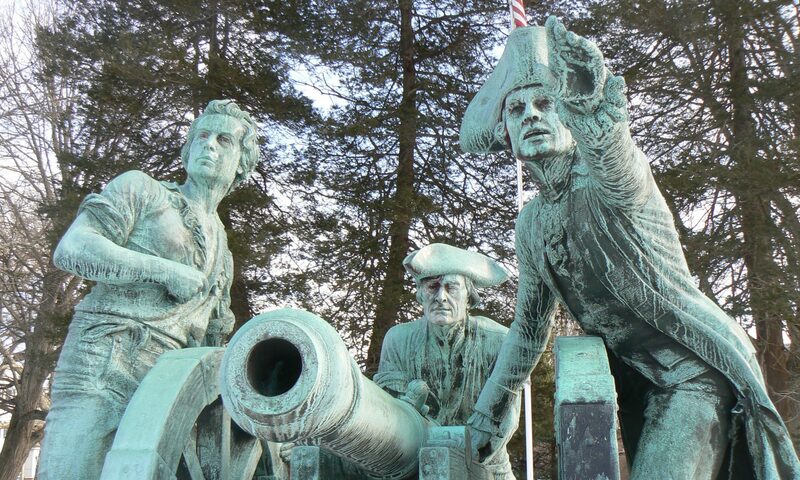 The monument commemorates the local residents who served in the war, with five statues representing the contributions of local soldiers, seamen, airmen and nurses. 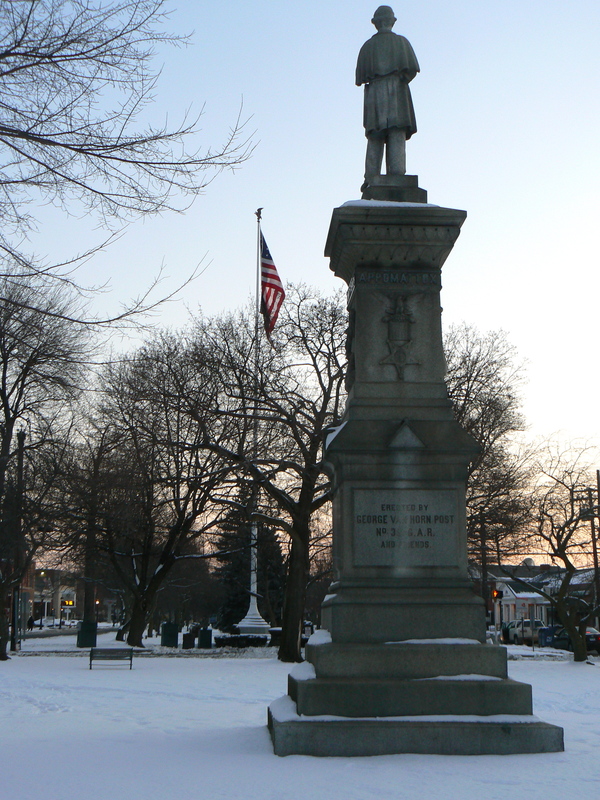 The nearby memorial flagpole (mentioned in our post on the Soldiers’ and Sailors’ monument) near the center of the green lists the names of 78 residents who died in the war. Immediately west of the World War II monument is a monument dedicated to the firefighters who have been protecting Milford since the first company was founded in 1838. 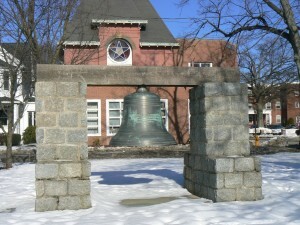 A bell, which summoned volunteer firefighters to Milford’s central firehouse between 1887 and the 1930s, sits mounted next to a granite marker that explains its history. 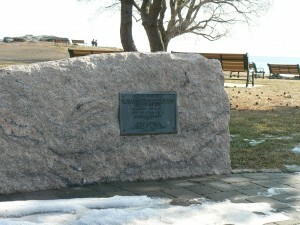 The other side of the granite marker lists the names of six local firefighters who gave their lives in the line of duty. 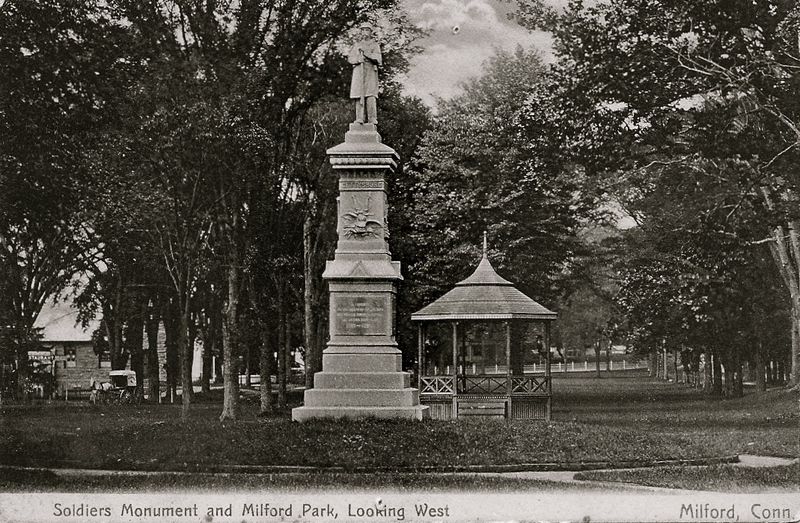 This week, we look at several monuments on (or near) the green at the heart of downtown Milford, which was founded in 1639. 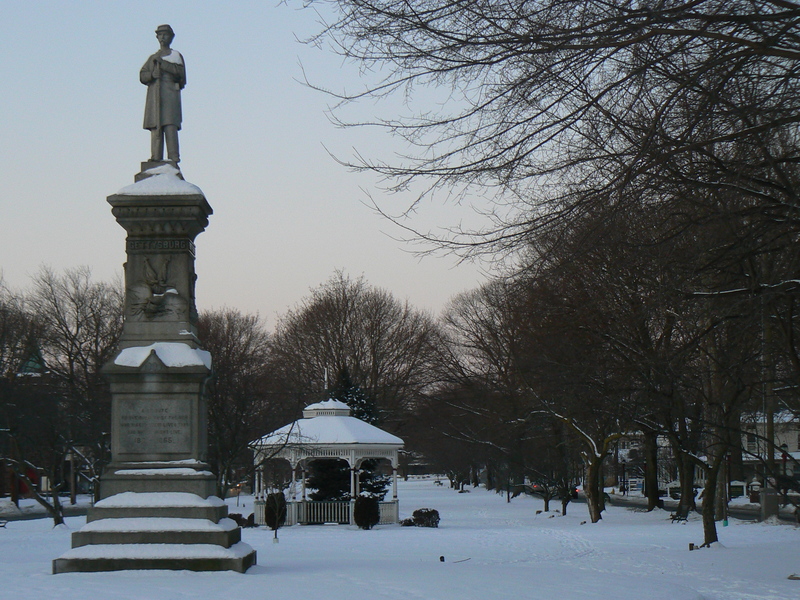 We’ll start with the Soldiers’ and Sailors’ Monument, which was dedicated in 1888 to commemorate local residents who served in the Civil War. 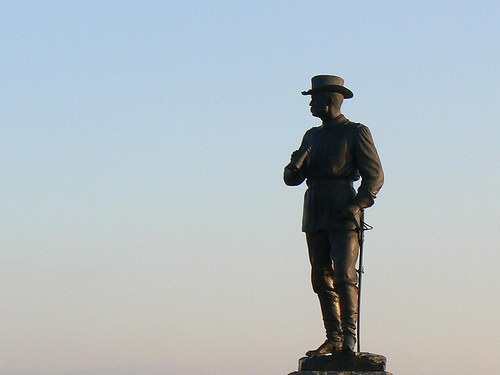 The four sides of the monument beneath the soldier lists battle locations of Gettysburg, Fort Fisher (North Carolina), Port Hudson (Louisiana) and Appomattox, and also feature several symbolic icons. 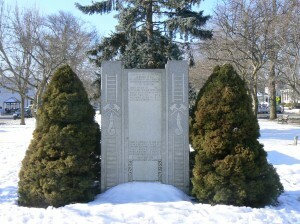 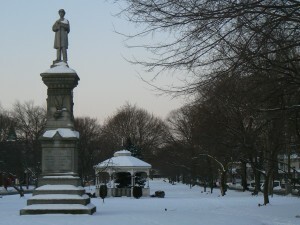 A flower bed at the base of the monument helps to discourage active interaction with the monument during warmer weather. 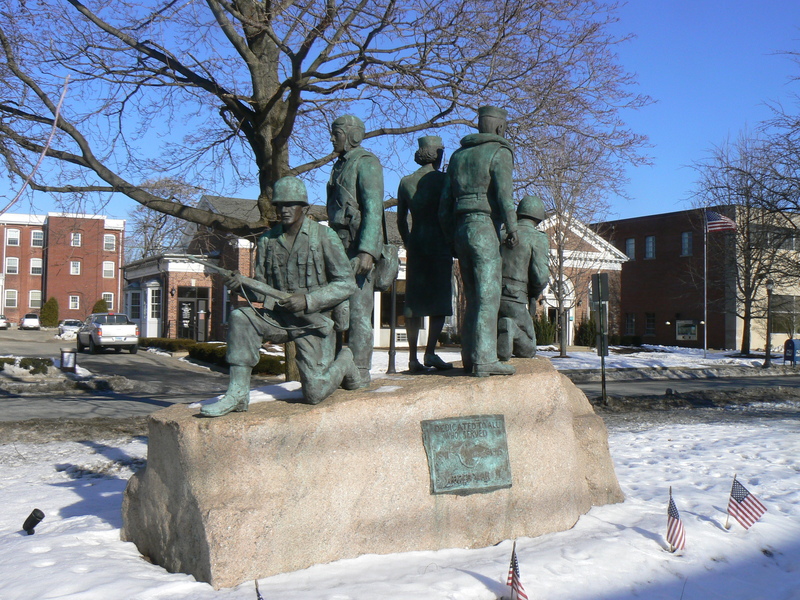 The flagpole in the background of the image facing away from the monument was built in 1954, and is dedicated to the citizens of Milford who have lost their lives in World War II, Korea and Vietnam (monuments honoring those wars will be featured later this week). 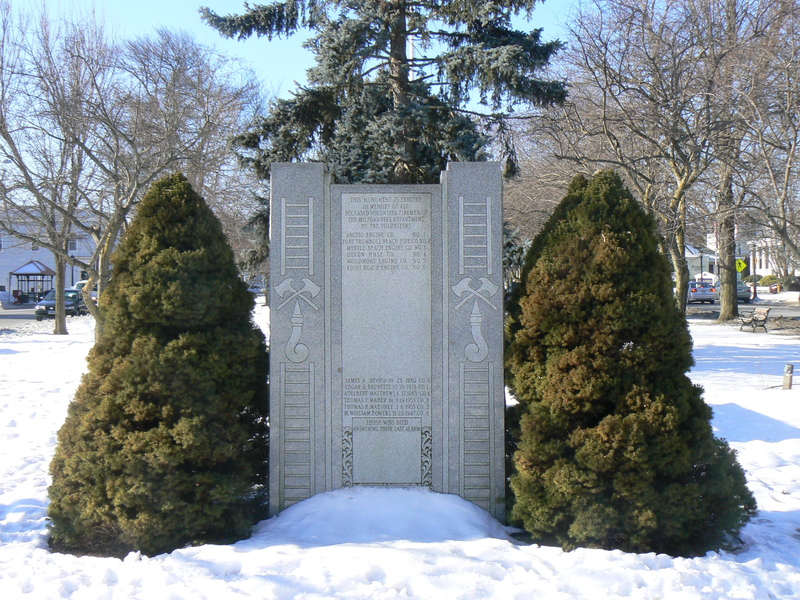 Its 15-sided base includes 13 stone markers listing the names of 93 local residents killed in those conflicts. 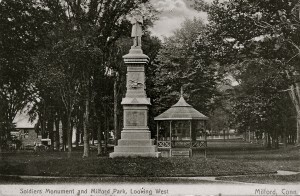 As you can see from the vintage postcard below, a gazebo has long stood near the monument. The card’s postmark is unclear, but the back is divided, so it was printed after 1907. 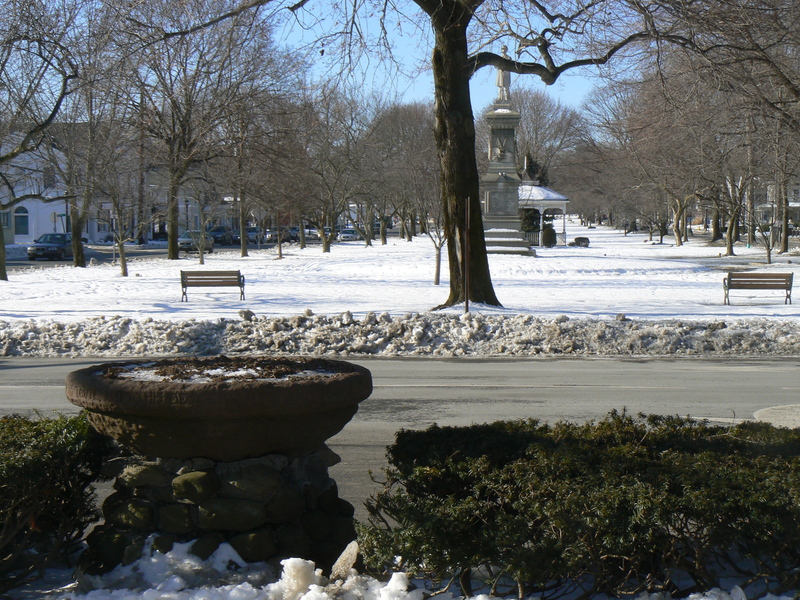 If you look in the lower left corner (enlarged in the next image), you’ll see a horse-drawn delivery carriage. In front of the monument is a memorial fountain erected by the Ford family to honor their ancestor Thomas Ford, one of Milford’s founders. 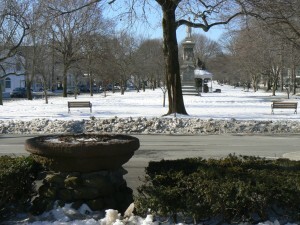 The fountain is used today as a planter.